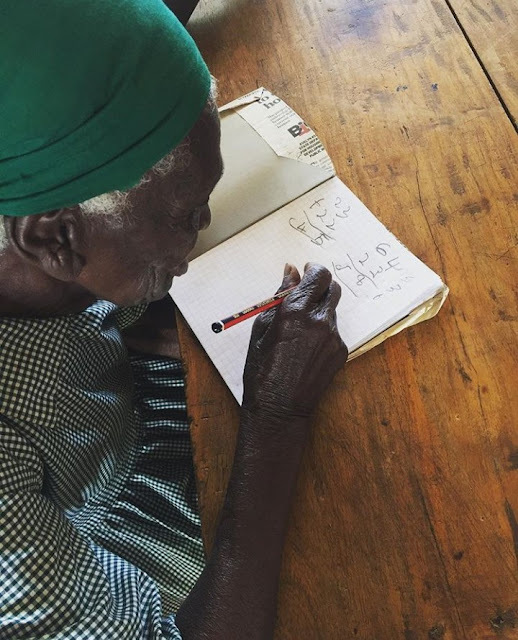 Gists 95-year-old woman enrolls in school to learn, read and write. 95-year-old woman enrolls in school to learn, read and write. An elderly Kenyan woman alleged to be 95 Years old becomes news headlines after she was photographed in school wearing a school uniform. 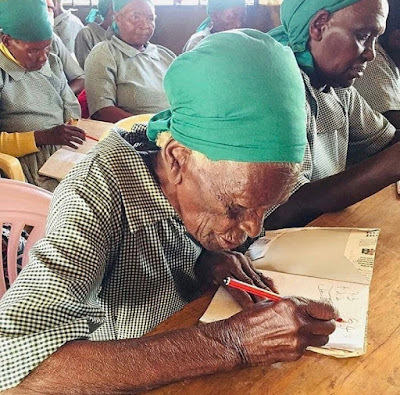 'Chebelina Mukomuga estimates that she was born in 1923, according to Wanjiku Kinuthia, the Communication Officer at Lewa Wildlife, Kenya.